Please complete this questionnaire and help dogs with Cushing's disease. Who can complete the questionnaire? This questionnaire can be completed by all dog owners. We need information on dogs with and without Cushing's disease. Why help us by filling out this questionnaire? The survey is part of The Big Canine Cushing's Project and aims to capture how Cushing’s disease impacts a dog and their owner's day-to-day life. Monitoring the treatment for Cushing’s disease in dogs is typically based on blood tests and the dog’s clinical signs of the disease. However to optimise an individual dogs treatment it is important to look at the full impact the disease and its treatment have, both on the dog and their owners. When completing this survey, please answer how your dog has been currently (this week) and be as honest as possible. Do not worry if some questions feel irrelevant or not applicable to you but please still answer these to the best of your abilities. This questionnaire should take you no longer than 10 minutes. 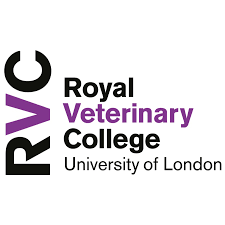 This research is being undertaken by the Royal Veterinary College, University of London. The information provided will only be accessible to the primary investigating team and will be kept on secure storage devices. We, and all dogs with Cushing's would be ever so grateful for your time and effort! Thank you!